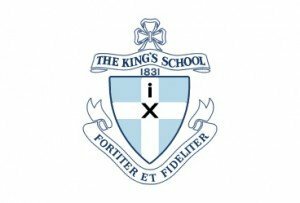 King's is an extraordinary School, made so by a tradition of educational excellence which spans many years. Whilst it may be true to say that we are Australia's oldest independent school and enjoy one of the loveliest school settings in the heart of Australia's largest city, I believe our appeal as a school rests in our strong sense of community, the values we celebrate, our commitment to realising the potential of young men, and providing a balanced education that addresses the academic, social, emotional, physical and spiritual aspects of our students' lives. It is my hope that you might visit us and tour the School, so that you can see for yourself why it is that The King's School has become so well known as a place of quality education. The King's School offers education to boys from Kindergarten age to Year 12. You will discover that we are one of the largest boarding schools in Australia with unique links to the rural sector. You will find a school which also has a very significant enrolment from the city both as day boys and weekly boarders. More importantly you will find a school with warmth, Christian values and an integrity which has caused it to become one of Australia's most respected schools.